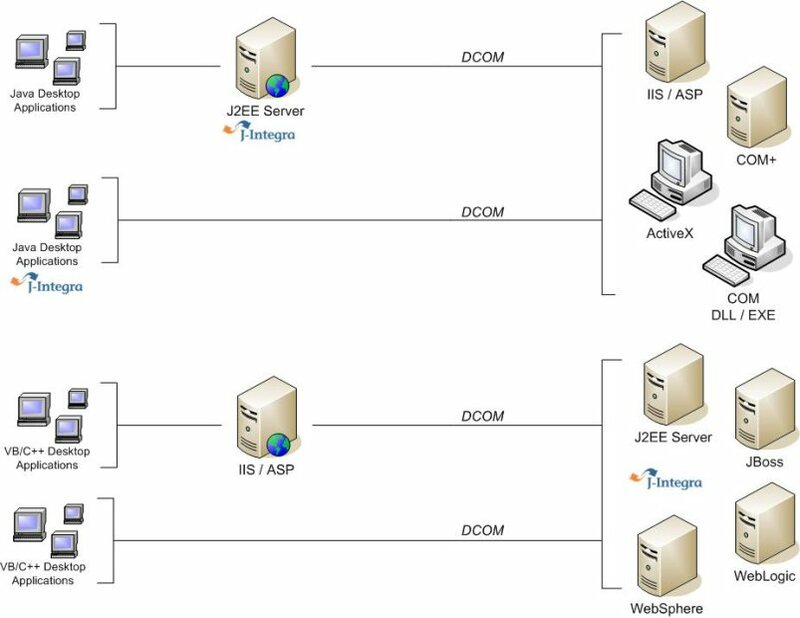 A growing number of users are using J-Integra® for COM as a complement to an integration suite or Enterprise Service Bus (ESB) where exisiting Java/COM systems need to plug into a common integration infrastructure. 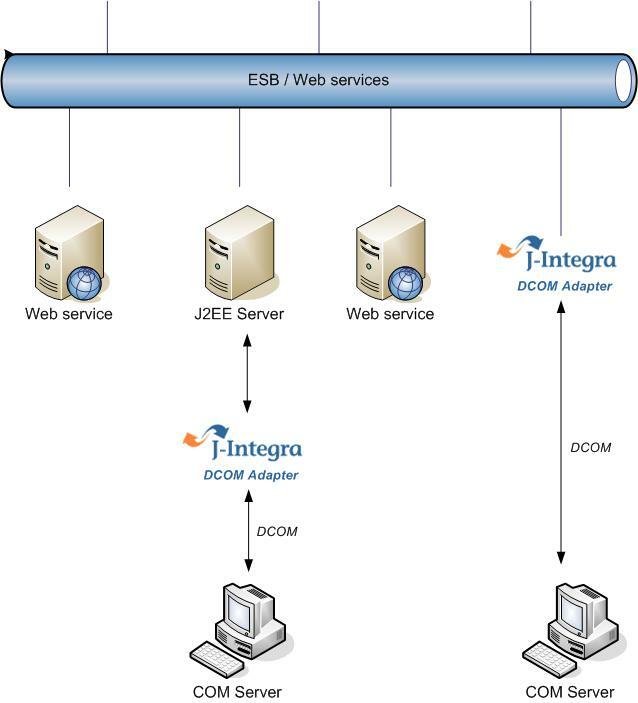 An example use case scenario is to use J-Integra® for COM as a DCOM protocol adapter that allows an ESB to access a legacy COM application which does not have a Web Services interface. We recommend trying out the following examples first if you are new to J-Integra®. Please note that the steps involved in running these examples are the same basic steps you will use to bridge any combination of Java/COM components. So even if you are looking to bridge different technologies than the ones used in these examples, we strongly recommend starting here so you can get used to the J-Integra® process. Before running the examples, follow the installation instructions.